Six players who were part of last year's championship team will help Sweden try to become the first nation since 2009 to repeat as World Junior Championship gold medalists. Sweden announced its 23-man team for the 2013 IIHF World Junior Championship, which will be led by captain and top Washington Capitals prospect Filip Forsberg. The 6-foot-1, 188-pound center -- taken by the Capitals with the 11th pick of the 2012 NHL Draft -- has 19 points in 22 games with Leksand in Hockey Allsvenskan. He had one assist in six games at last year's tournament. "Sweden does have a team that can win again," NHL Director of European Scouting Goran Stubb told NHL.com. "That team has a lot of talent and skill." Also among those returning is Rickard Rakell, taken by the Anaheim Ducks with the 30th pick of the 2011 draft. The 6-foot, 199-pound right wing leads the Plymouth Whalers of the Ontario Hockey League with 30 points in 30 games. He had two goals and three assists in six games at last year's tournament. In addition to the holdovers, making this year's team are a few newcomers regarded as top prospects for the 2013 NHL Draft. Elias Lindholm is rated as Sweden's top skater in NHL Central Scouting's preliminary rankings of players for the draft. The 6-foot, 192-pound center leads all under-20 players in the Swedish Elite League with 21 points in 32 games for Brynas. He's considered a favorite to go in the top 10 -- if not higher -- in this year's draft. "He's a complete package," Stubb said. "He could very well be the next Peter Forsberg. He's an excellent skater and great competitor who gives it 110 percent on every shift. He can skate, score and pass, and is physically strong even though he is a finesse type of player." Also skating for Sweden will be Nick Sorensen, who has 25 points in 26 games for the Quebec Remparts in the Quebec Major Junior Hockey League. The 6-1, 179-pound right wing is No. 16 on Central Scouting's preliminary ranking of QMJHL skaters. Sweden won the gold medal last year by beating Russia 1-0 in overtime in the championship game. No team has repeated as WJC winner since Canada won its fifth straight gold medal in 2009. 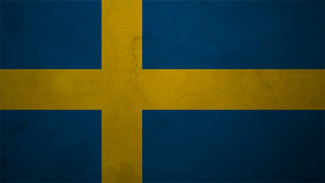 The Swedes will participate in Group A this year, along with Finland, the Czech Republic, Switzerland and Latvia. Their first game is Dec. 26 at 7 a.m. ET against the Czech Republic.